Winning The Money Game is a must read for anyone who wants to know the real truth about achieving financial independence. Find out what you don’t know about spending, saving, investing, insuring and planning wisely for the future…so you can achieve financial independence! In my 15 plus years as a financial strategist, I have found that many of my clients have needed to make a “shift” in their thinking in order to achieve the financial goals they desire. Several years of being in the trenches and experimenting with what works and what does not work has led to financial victory for the clients I serve. That process has led to the birth of this book, Winning The Money Game: Separating The Myths From The Truth. Everywhere you look there are “financial gurus” promising to deliver the magic potion to help you achieve financial success, but how can you separate the fantasy from reality? In this book, I share over 15 years of financial industry experience to help you debunk the myths and start the real process of winning the money game. I share the strategies to overcome significant personal financial failures,job loss, unemployment, home foreclosure, investment property foreclosure, stock market losses, international investment losses, Bernie-Madoff-like investment scams and a personal bankruptcy. And remember It’s not just about becoming financially independent, it’s about becoming AND staying financially independent. In the words of Stephen Covey, “If the ladder is not leaning against the right wall, every step we take just gets us to the wrong place faster.” Most people are unaware that their ladder is leaning against the wrong wall. If you don’t make the necessary changes, you’ll just end up simply getting to the wrong financial place faster. In this book, you’ll quickly see why your financial ladder is leaning against the wrong wall and what you can do to correct it! 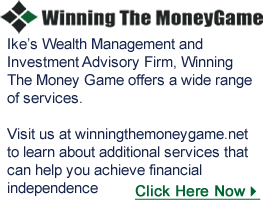 “Winning the Money Game is the go-to book for those seeking the truth about how to better position themselves for financial independence and tax-time savings. 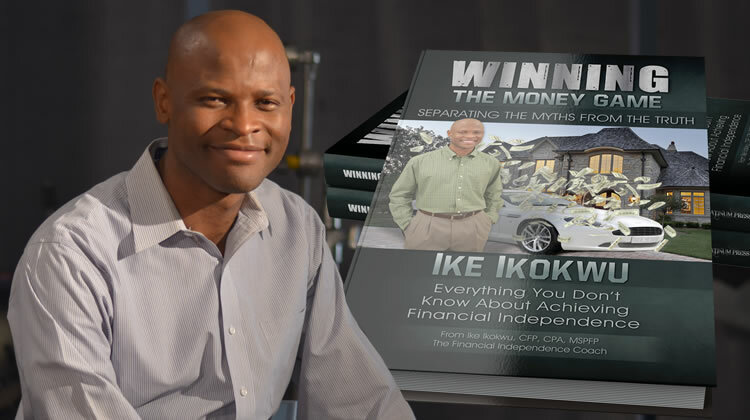 Ike Ikokwu achieved financial independence at the age of 34 and throughout these pages, he offers timeless wisdom, insight, personal experience and strategies that will enable others to enjoy the benefits and security of monetary freedom as well. This book is literally an investment which will never lose its value. “Simply Amazing! I can honestly say…I generally don’t write reviews..but I have to make an exception…this book.is like….WOW!! !….I never seen so much useable content in any book on financial education outside of Robert Kiyosaki’s books from Rich Dad…but the application and straight talk given from this young brother…I must say is absolutely unbelievable! This is a must read and definitely a book for anybody’s library that takes their finances seriously! 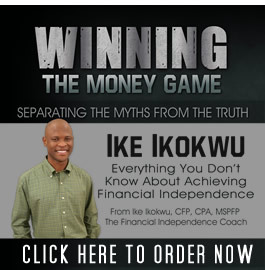 The book is true to it’s title “Winning The Money GAME!” Thank you Ike Ikokwu…you are a blessing to your family and anyone that listens to your advice! I’m recommending your book to all that are close to me…finally someone who really tells it like it is….Thank you so much for an outstanding book!